Like much of the world, Italy is still recovering from the depths of a financial crisis. And while their government might not be able to afford restoring some of their most beloved historic sites, the country's luxury brands can. According to Newsweek, Italy's biggest fashion houses are chipping in millions of dollars to help preserve the country's monuments. Last March, Bulgari committed $2 million to help restore Rome's famous Spanish Steps. 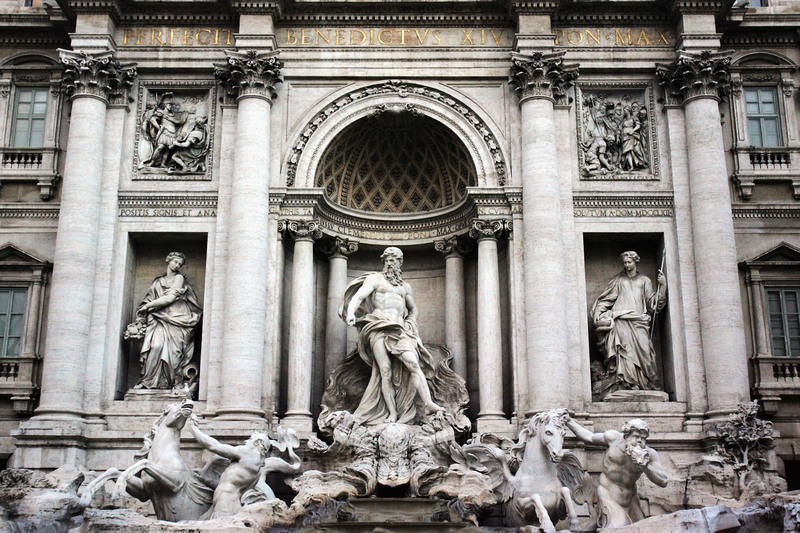 In January, in an effort led by creative director Karl Lagerfeld, Fendi funded $2.7 million to repair the Trevi Fountain. Most recently Tod's is putting $34 million towards the restoration of the deteriorating Coliseum. Additionally, Diesel's Renzo Rosso donated $6.8 million towards the repair of the Rialto Bridge and Salvatore Ferragamo's children have helped restore the Uffizi art gallery. This is all incredible news for Italy: since the recession in 2008, the government's budget for restoring cultural and archaeological sites has fallen from $272 million to a mere $76 million last year. That's not nearly enough for the 5,700+ historic sites throughout the country. However, instead of just "Christian compulsion," some Italians are arguing that these are all business motives for PR rewards. For example, it came to light that in exchange for restoring the Coliseum, Tod’s negotiated the right to publish its logo on tickets to the venue. After Diesel donated money to the Rialto bridge, they made an agreement that they could project advertising onto the structure in addition to placing Diesel branding on vaporetti, the city’s water taxis. Still, most critics would agree that all is fair, so long as these historical sites are getting the proper restoration and maintenance they need. Jane da Mosto, co-founder of We Are Here Venice, is a huge supporter of the mutual exchange. “Most monuments in Italy were originally built with some form of private support — even churches — in exchange for a guaranteed place in heaven. Businesses have their motives, but we agree that it is good that they have tax advantages and PR rewards for contributing to preserving cultural heritage.” If it ensures Italy continues to be a beautiful, historically rich place to visit, then I'm completely down, too.